Hyundai CRADLE, Hyundai Motor Company’s corporate venturing and open innovation business announced today its strategic investment in allegro.ai, a leading technology company specializing in deep learning (DL) – based computer vision. This partnership with allegro.ai will allow to speed up deployment of AI technology in many business areas. This will improve the quality of Hyundai’s products, thereby increasing customer satisfaction while creating a safer driving environment. Founded in 2016, allegro.ai offers the first end-to-end DL lifecycle management solution focused on deep learning as it applies to computer vision. The company’s platform simplifies the process of developing and managing deep learning-powered solutions – such as autonomous vehicles, drones, security, logistics and others. “Deep learning computer vision is one of the core technologies that can be applied to autonomous driving to navigate roads and make quick decisions in real-time – and allegro.ai is clearly an innovation leader in that field,” said Ruby Chen, Head of Investment at Hyundai CRADLE Tel Aviv. 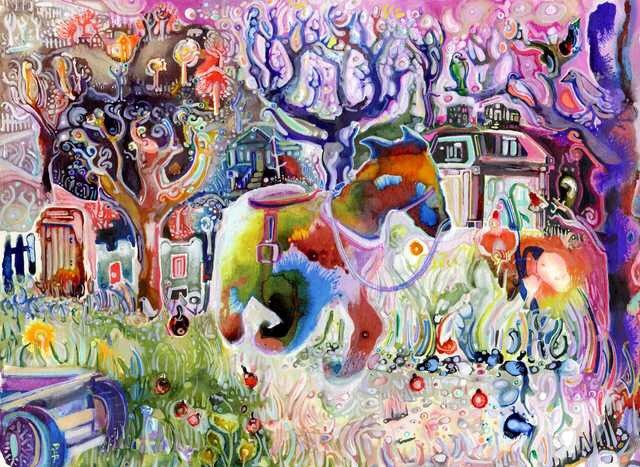 He added, “Our investment in allegro.ai is a further step in enhancing our presence in the Israeli market, a global leader of technological innovation in the fields of automation, artificial intelligence and deep learning. This is our fifth investment in an Israeli company and our activities will continue to grow the coming year”. “We are proud to partner with Hyundai and share Hyundai’s belief that AI empowers the industry to provide greater road safety, autonomy, to better understand customers’ needs and to help broaden their experiences,” said Nir Bar-lev CEO and Co-founder of allegro.ai. “Whether a company is developing autonomous vehicles, drones, security, or other types of applications, allegro.ai makes it easy for them to manage their data-sets and build deep learning-based solutions while guaranteeing complete and confidential control of their data. This entry was posted in Uncategorized and tagged 360 Magazine, art, audi, bentley, bmw, Canada, Cape Town, Chevy, Chicago, China, culture magazine, Dallas, design, edgy fashion magzine, ford, Global Society, Honda, Hyundai, infiniti, Jakarta, Japan, jeep, Johanessburg, Kia, Lamborghini, land rover, London, Los Angeles, maserati, McLaren, Melbourne, Miami, Milan, Netherlands, New York, Nissan, Paris, range rover, San Francisco, subaru, Sweden, Sydney, tata, tech, technology, Toyota, Vaughn Lowery, Volkswagen on November 7, 2018 by wp360mag. 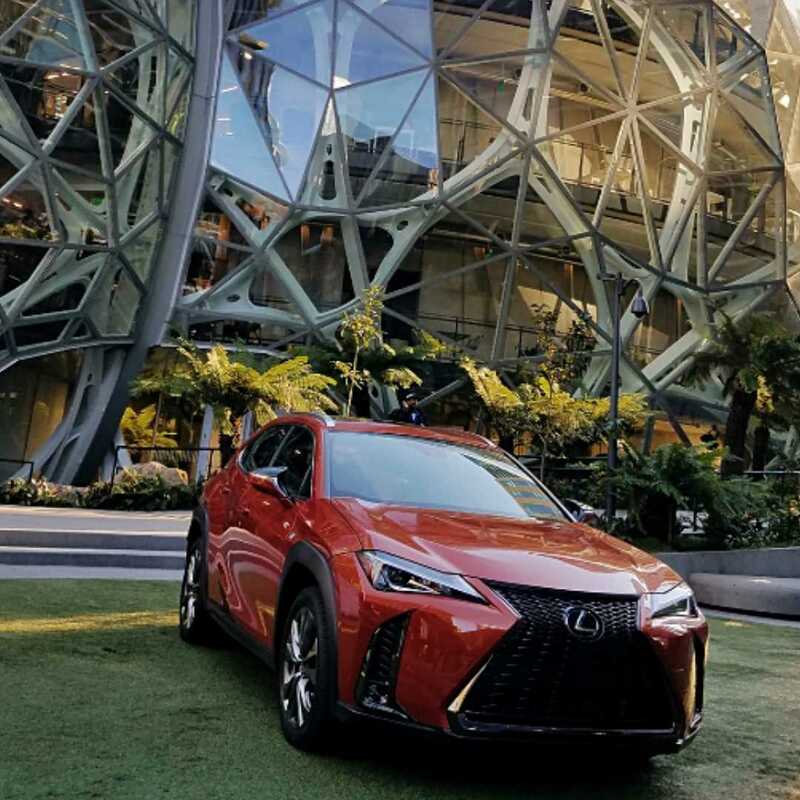 As of late, 360 Magazine had the opportunity to join Lexus in Seattle for an intimate ride and drive of their wholly-new UX SUV at the newly reimagined luxurious Loews Hotel 1000. 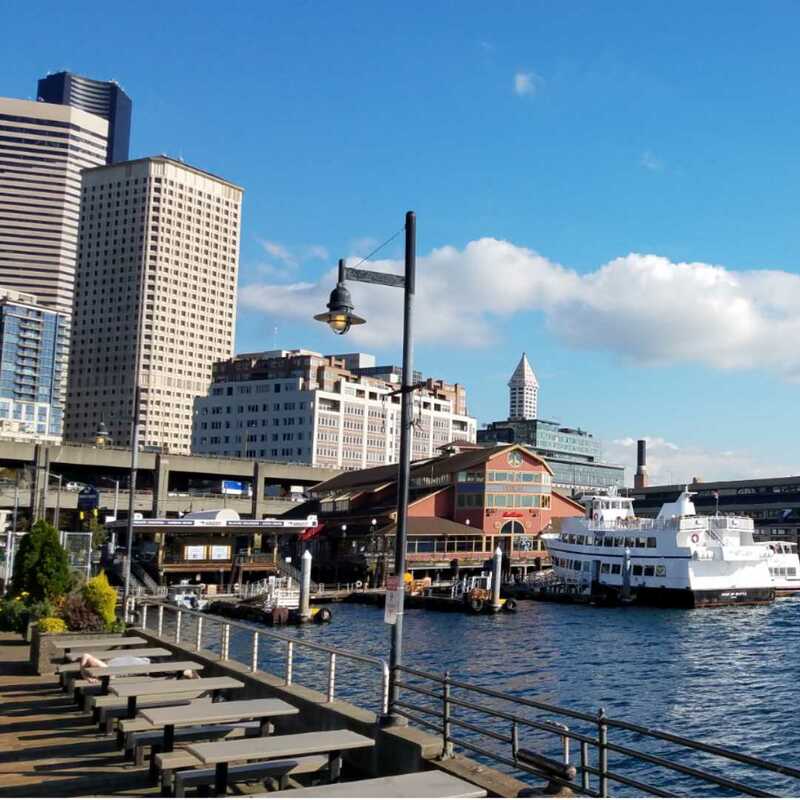 This seaport city is home to both tech giants Microsoft and Amazon. 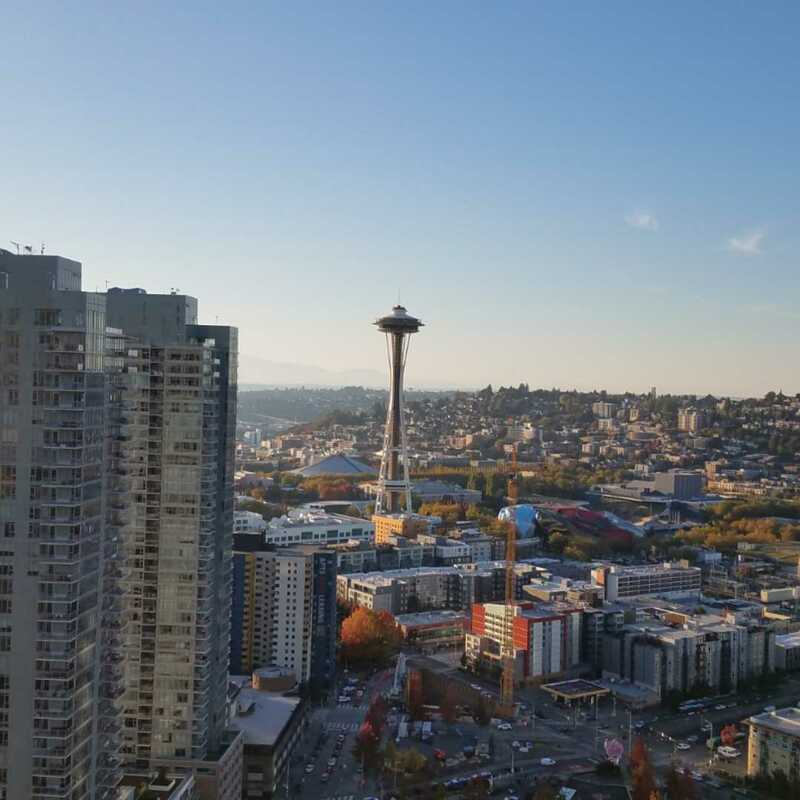 With Lexus’s innovative track record for having unparalleled technology within their cabin, it was befitting that they brought us to the home of the Space Needle. 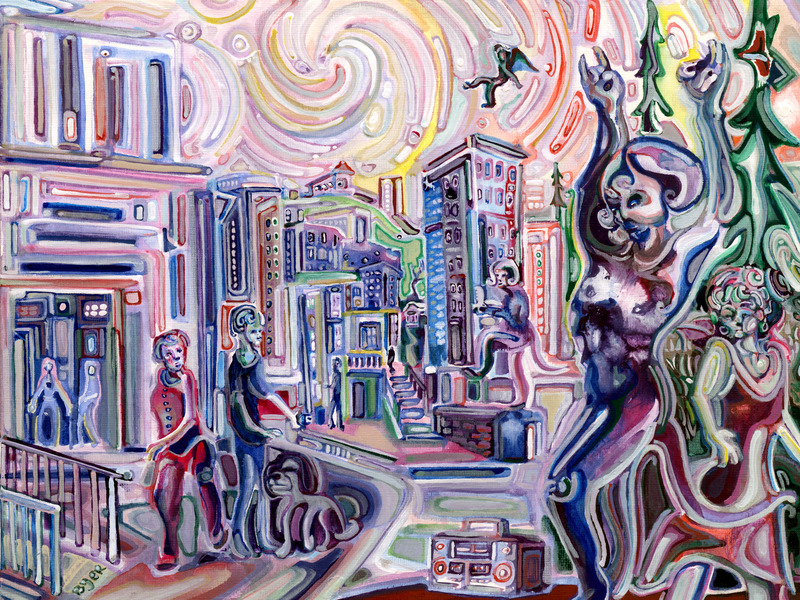 Subsequently, this town is known to think outside of the box. 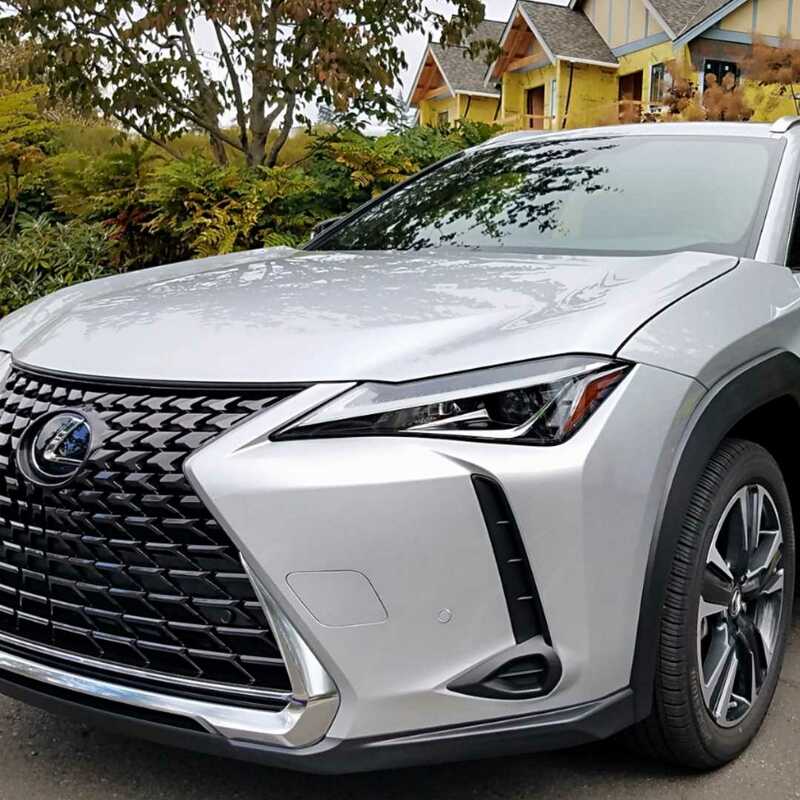 The 2019 Lexus UX takes a step into the future of modern luxury with its two most affordable and compact SUVs – the UX 200 and UX 250h. UX stands for urban crossover (x-over). The UX 200 will be released in December 2018 starting at $32,000 and the UX 250h will be released in January 2019 for around $34,000. Gearing towards an opulent compact car with an exterior design so specific, the UX has a signature three-dimensional shape that makes it different from its siblings. The front has brow-shaped LED lights with optional ultra-small 3-projector LED units. Across the back of the boot, are an innovative wrap of three-dimensional LED lights which help with stability on the highways – a standout design element on the UX. The structure is built to mold into an everyday vehicle that is stable, perfect for urban use because it’s small and easy to park. 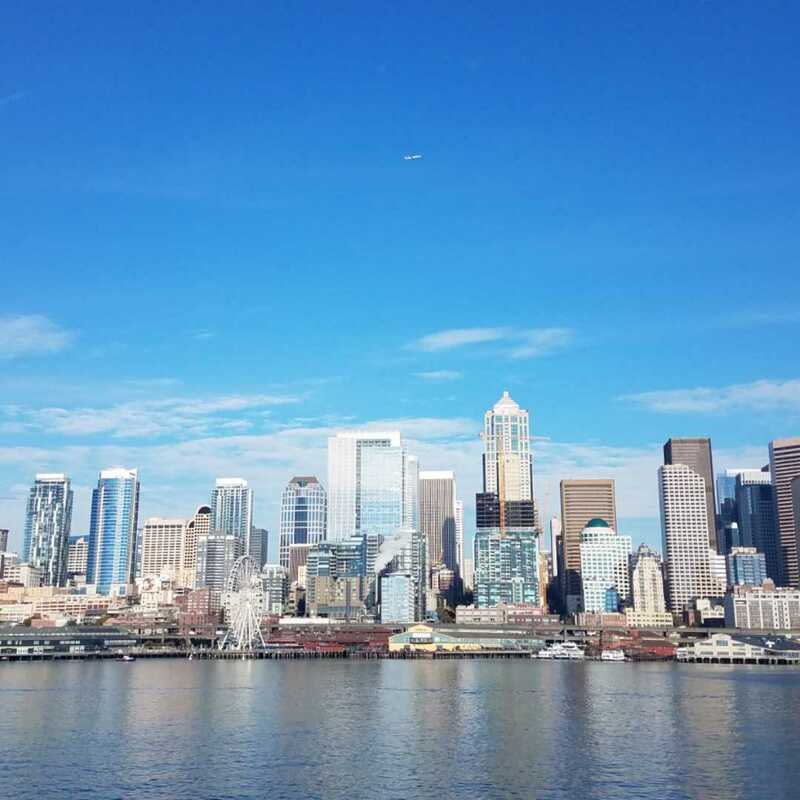 We had no problem squeezing to the front of the Bainbridge ferry. 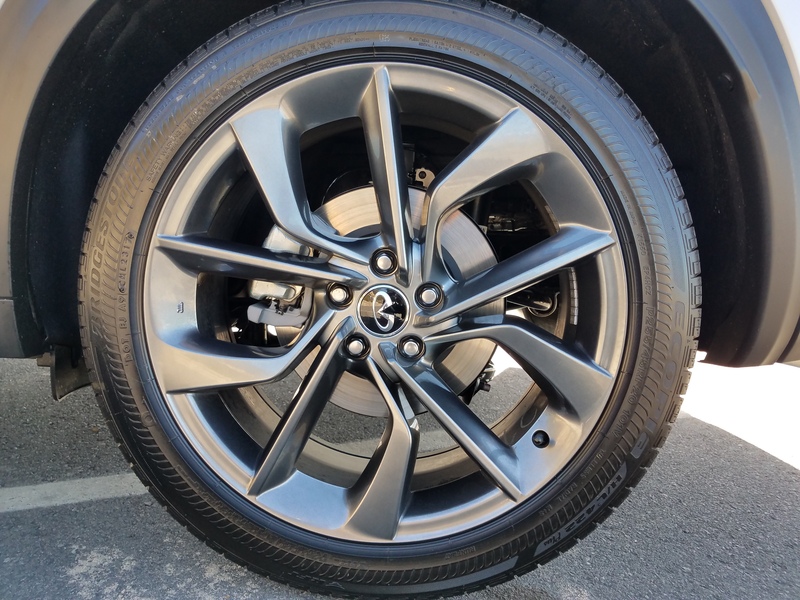 The 18″ 5-spoke aluminum alloy dark gray metallic wheels are proportional to the overall aesthetics of the vehicle. 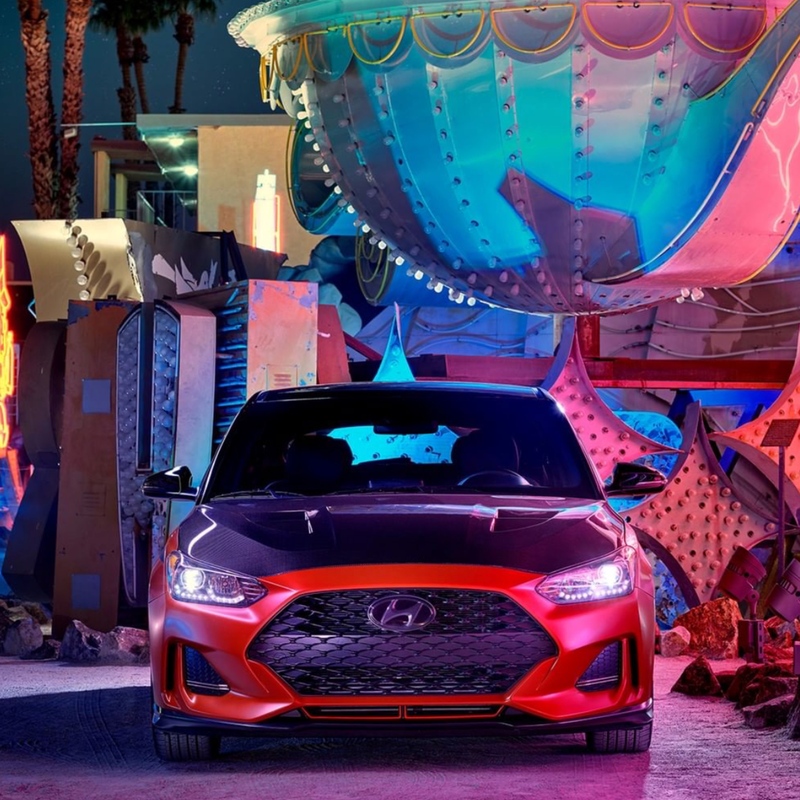 Available in a variety of twelve exterior colors, two of which are exclusive to the UX F Sport – Cadmium Orange and Nori Green. The Cadmium Orange includes a cherry base with yellow lowlights, making it appear vivid and adding tons of depth. 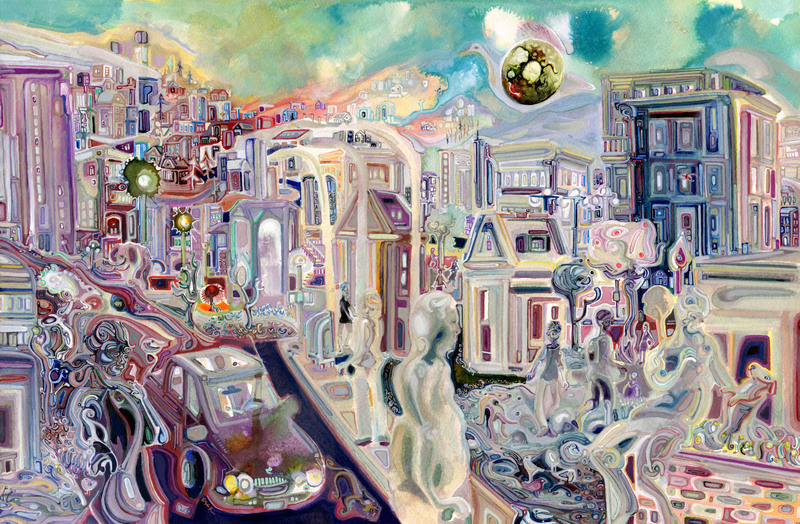 Nori Green possesses bright highlights and dark contrast alongside of calm shades, drawing the color brilliant. Both of these colors are newfangled and daring for the Lexus brand. The F Sport package is available in both the UX 200 and UX 250h model as well as has enhanced features and style which contributes to its name. This option comes in the two colors – Ultra White and Ultrasonic Blue Mica 2.0. The F Sport performance is exceptional, transforming the UX into a bespoke-like designer car with front sports seats, grille design, and jet-black trim. The concept of UX stems from the versatility and adaptability this vehicle offers. With a seamless interior coupled with the Japanese concept of engawa offers a richer field of vision. Executed with a high-strength structure, placement of sound absorbing and insulating materials throughout, one can enjoy an extremely quiet ride. The connection between driver and the vehicle is apparent with the “seat-in-control” concept. Entering and exiting is made easy with hip-point bottom cushions. 8-way power driver seats (including lunbar) allows the driver to operate with a comfortable yet natural posture. All UX models are fabricated to ensure safety while driving. The Pre-Collision System alerts drivers of pedestrians, cyclists and other vehicles with a forward-facing camera and radar system. The LSS+ 2.0 system enhances this with specific light detection for different hours of the day. If the Pre-Collision System detects a high possibility of collision, an audio and visual alert will prompt the driver to take action. If the driver does not break at that point, the system may automatically apply brakes to help mitigate impacts. Dynamic Radar Cruise Control maintains a preset distance and operates between 0 to 110 mph. The Lane Departure Alert is extremely helpful with the Multi-Information Display (MID) the system can use forward-facing cameras to detect colored land marking illustrations. If the driver deviates from a visibly marked lane, the system alerts the driver with an audio and visual alert. In addition, the UX has an Electric Power Steering and Steering Assist. The Road Sign Assist can read a variety of traffic signs and will display them on the vehicle’s MID. Furthermore, Parking Support Brake uses braking control and visual warnings to reduce possible contact with moving objects while parking. This Lexus is extraordinary with its high definition, intuitive technology, and overall performance. The UX includes a standard 7″ TFT (thin-film-transistor) LCD control panel while the UX F Sport features an 8″ TFT LCD panel design with a movable meter ring. By pressing a switch on the steering wheel, it moves to the right, enlarging the multi-information display. 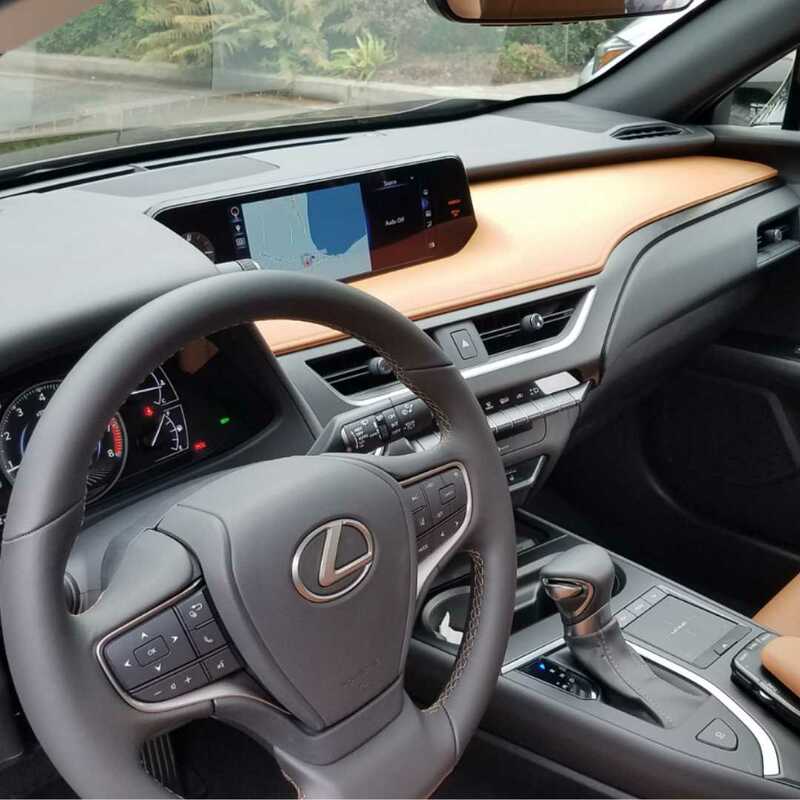 With the Lexus Remote Touch Interface, the 2019 UX feels as familiar as a smartphone. The most impressive tech feature is Amazon’s “Alexa” – which immediately connects you to play music; find directions; open your garage door on a rainy day; lock/unlock from a smart device and amongst other things control the lights in your home. The Lincoln Navigator is the only other vehicle in Northern America which offers Alexa. Moreover, additional driver connectivity features include Apple CarPlay, 4GB Wi-Fi Hotspot, Voice recognition for commands and the SiriusXM. The heads-up display allows drivers to focus more on the road and less on the infotainment unit. The UX complies with the global trend of efficient gas mileage vehicles – UX 200 at 33 mpg (2.0- liter inline four-cylinder engine, similar to competitors but with less under-hood heat and lower weight for better vehicle balance). The UX 250h at 39 mpg, making it the wave of their next generation of hybrids. With 181 hp, the UX 250h is the fuel-efficient leader with the best-combined mpg of any CUV and/or SUV without a plugin NA. 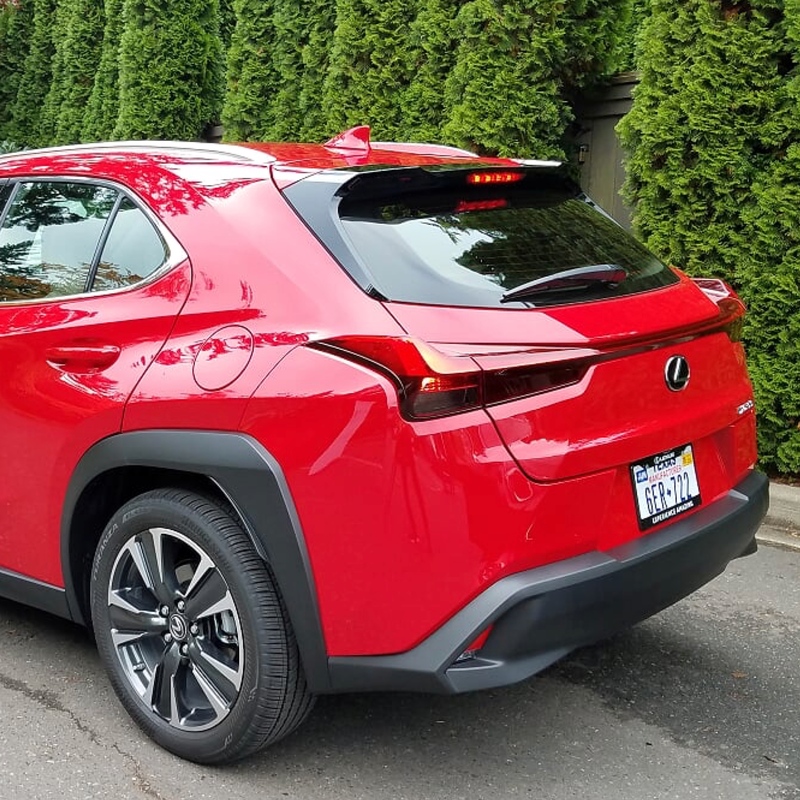 In short, the Lexus UX 200 and UX 250h is a shoo-in for a ‘xennial’ buyer – a person who grew up in an analog environment and can easily adapt to present-day’s digital society. Just think of all of your friends and family members with a recent graduate degree or higher residing in a metropolis. 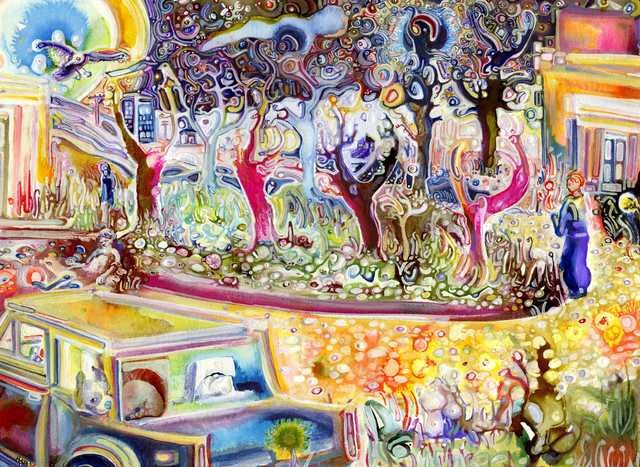 Most likely they have a high appreciation for the arts and take local trips within their surrounding area with one or more cronies and a small lap dog in tow. This entry was posted in Auto and tagged 360 Magazine, Alexa, Alexandria Baiz, Amazon, android auto, app, Apple CarPlay, apple music, art, audi, auto, automotive, blue tooth, bmw, Cadillac, Canada, Cape Town, car enthusiast, car nut, Chevy, Chicago, China, Chrysler, consumer, culture, culture magazine, cuv, Dallas, design, Detroit, edgy fashion magzine, electric power, engawa, f-sport package, ford, g wagon, gas, Global Society, gmc, High Def, Honda, hotspot, hybrid, Innovation, Jakarta, Japan, jeep, Johanessburg, Kia, Lamborghini, landrover, LED lights, lexus, lifestyle, Lincoln, loews hotel, loews hotel 1000, London, Los Angeles, lunbar, luxury, McLaren, Melbourne, Mercedes, Miami, Microsoft, MID, Milan, mitsubishi, mustang, Netherlands, New York, Nissan, Paris, range rover, remote touch, retail, San Francisco, Seattle, smart car, smartphone compatability, style, subaru, suv, Sweden, Sydney, tech, technology, TESLA, Toyota, ux200, ux250, Vaughn Lowery, vehicle, Volkswagen, Volvo, WiFi on November 6, 2018 by wp360mag. •	1937 Alfa Romeo 8C 2900B Touring Berlinetta owned by David and Ginny Sydorick claimed the Best In Show Award at the 2018 Pebble Beach Concours d’Elegance. •	Other finalists for Best In Show were a 1929 Duesenberg J Murphy Town Limousine owned by the Lehrman Collection of Palm Beach, Florida; and a 1948 Talbot-Lago T26 Grand Sport Figoni Fastback Coupé owned by Robert Kudela of Chropyne, Czech Republic. •	David was awarded a steel and yellow gold Rolex Datejust 41. •	Rolex has been a sponsor of the Pebble Beach Concours d’ Elegance since 1997 and the Tour d’ Elegance in 2007. •	234 cars participated in this year’s show. •	Cars competed in 27 judged classes as well as for four Elegance awards and 22 special awards. •	Other show highlights included a 1927 Rolls-Royce Phantom I Windovers Limousine owned by His Highness Maharaja Gaj Singhji of Marwar-Jodhpur, Jodhpur, India, that won the Montagu of Beaulieu Trophy and a 1937 Cadillac Series 90 Hartmann Cabriolet owned by Jim Patterson of Louisville, Kentucky, which won its class and the Gwenn Graham Most Elegant Convertible Elegance Award. •	551 genuine and period-correct competition cars competed. •	Nissan, and its US predecessor Datsun, was celebrated throughout the event, as the brand became the first Japanese manufacturer to be honored at the Reunion. 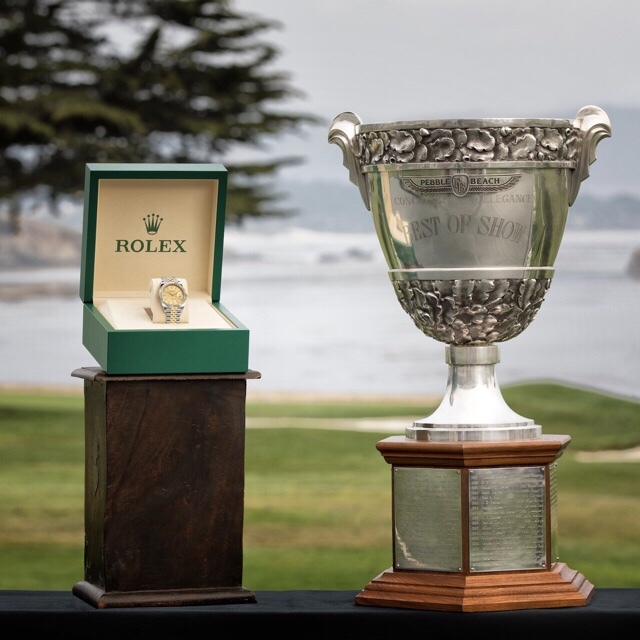 •	Since 2001, Rolex has partnered in this cornerstone event during Monterey Car Week, united by values of tradition and innovation that have shaped the watchmaking and automotive worlds. •	During Picnic in the Paddock, legends of the sport, Sir Jackie Stewart, fellow Rolex Testimonee Tom Kristensen and FIA Formula 1® Drivers’ World Champion Mika Häkkinen, recounted motoring anecdotes that will live long in the memories of those who attended. •	Nissan’s long-term involvement in motor sport was exhibited, from the 1971 Datsun 510, to the Nissan 300ZX Twin Turbo – the 1994 Rolex 24 At DAYTONA winner – and the 2019 Formula E Nissan racing car. •	Notable Nissan drivers and team owners were present, including John Morton, Peter Brock and Steve Millen, along with comedian Adam Carolla who drove his 300ZX Turbo formerly owned by Paul Newman. •	Meanwhile, legendary chassis from Lotus, Lola, McLaren, AAR and Surtees formed part of the 50th anniversary of Formula 5000. This entry was posted in Uncategorized and tagged 1937 Alfa Romeo 8C 2900B, 300ZX Turbo, 360, 360 Magazine, FIA Formula 1, limousine, Madison Smushkevich, Monterey car week, Monterey Car Week 2018, Nissan, pebble beach, Rolex, rolls-royce phantom, Tom Kristensen, Vaughn Lowery, Windovers Limousine on August 29, 2018 by wp360mag. 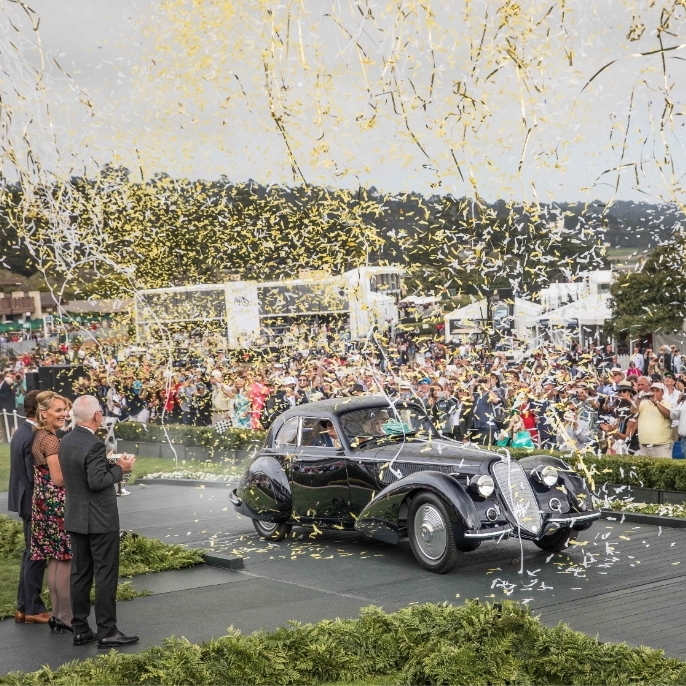 1937 Alfa Romeo 8C 2900B Touring Berlinetta owned by David and Ginny Sydorick claimed the Best In Show Award at the 2018 Pebble Beach Concours d’Elegance. Other finalists for Best In Show were a 1929 Duesenberg J Murphy Town Limousine owned by the Lehrman Collection of Palm Beach, Florida; and a 1948 Talbot-Lago T26 Grand Sport Figoni Fastback Coupé owned by Robert Kudela of Chropyne, Czech Republic. David was awarded a steel and yellow gold Rolex Datejust 41. Rolex has been a sponsor of the Pebble Beach Concours d’ Elegance since 1997 and the Tour d’ Elegance in 2007. 234 cars participated in this year’s show. Cars competed in 27 judged classes as well as for four Elegance awards and 22 special awards. Other show highlights included a 1927 Rolls-Royce Phantom I Windovers Limousine owned by His Highness Maharaja Gaj Singhji of Marwar-Jodhpur, Jodhpur, India, that won the Montagu of Beaulieu Trophy and a 1937 Cadillac Series 90 Hartmann Cabriolet owned by Jim Patterson of Louisville, Kentucky, which won its class and the Gwenn Graham Most Elegant Convertible Elegance Award. 551 genuine and period-correct competition cars competed. Nissan, and its US predecessor Datsun, was celebrated throughout the event, as the brand became the first Japanese manufacturer to be honored at the Reunion. Since 2001, Rolex has partnered in this cornerstone event during Monterey Car Week, united by values of tradition and innovation that have shaped the watchmaking and automotive worlds. During Picnic in the Paddock, legends of the sport, Sir Jackie Stewart, fellow Rolex Testimonee Tom Kristensen and FIA Formula 1® Drivers’ World Champion Mika Häkkinen, recounted motoring anecdotes that will live long in the memories of those who attended. Nissan’s long-term involvement in motor sport was exhibited, from the 1971 Datsun 510, to the Nissan 300ZX Twin Turbo – the 1994 Rolex 24 At DAYTONA winner – and the 2019 Formula E Nissan racing car. Notable Nissan drivers and team owners were present, including John Morton, Peter Brock and Steve Millen, along with comedian Adam Carolla who drove his 300ZX Turbo formerly owned by Paul Newman. Meanwhile, legendary chassis from Lotus, Lola, McLaren, AAR and Surtees formed part of the 50th anniversary of Formula 5000. This entry was posted in Auto and tagged 1927 Rolls-Royce Phantom I Windovers Limousine, 1937 Cadillac Series 90 Hartmann Cabriolet, 1948 Talbot-Lago T26 Grand Sport Figoni Fastback Coupé, 1971 Datsun 510, 1994 Rolex 24, 300ZX Turbo, 360, 360 Magazine, AAR, Adam Carolla, Atrin Yazdani-Biuki, automotive, brand, car, Chropyne, comedian, Czech Republic, Datsun, Daytona, drivers, FIA Formula 1, Florida, Formula 5000, formula e, Ginny Sydorick, Gwenn Graham Most Elegant Convertible Elegance Award, Highness Maharaja Gaj Singhji, india, Japan, Japanese, Japanese manufacturer, Jim Patterson, Jodhpur, John Morton, kentucky, Laguna seca, Lehrman Collection, Lola, lotus, Louisville, Marwar-Jodhpur, McLaren, Montagu of Beaulieu Trophy, Monterey car week, motor sport, Nissan, Nissan 300ZX Twin Turbo, paddock, Palm Beach, Paul Newman, Pebble Beach Concours d’Elegance, Peter Brock, racing, Robert Kudela, Rolex, Scottish, Sir Jackie Stewart, sport, Steve Millen, Surtees, Swiss, Tom Kristensen, Touring Berlinetta, us, Vaughn Lowery, watch, Watchmaking, 1929 Duesenberg J Murphy Town Limousine on August 28, 2018 by wp360mag. New-vehicle quality has improved for the fourth consecutive year—by 4% from 2017—and has reached its best level ever, according to the J.D. Power 2018 U.S. Initial Quality Study (IQS),SM released today. 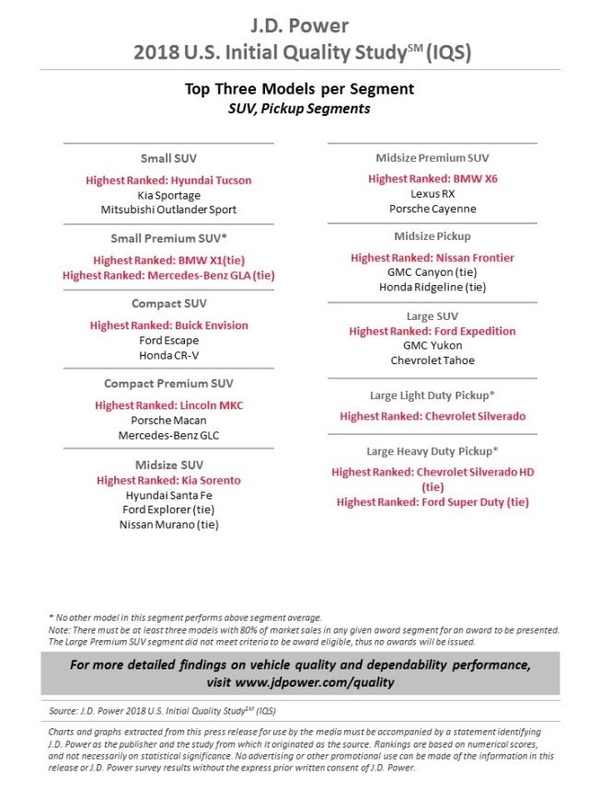 Initial quality is measured by the number of problems experienced per 100 vehicles (PP100) during the first 90 days of ownership, with a lower score reflecting higher quality. In this year’s study, quality improves across six of the eight categories measured, with 21 of the 31 brands included in the study improving their quality from 2017. The industry average of 93 PP100 is 4 PP100 better than in 2017. •	Most vehicle areas improve: Of the eight categories measured, vehicle exterior improves the most, now at 15.2 PP100, compared with 16.6 PP100 in 2017. Improvements include less wind noise and fewer paint imperfections. Significant year-over-year improvements also occur in the seats (8.0 PP100 vs. 8.7 PP100) and vehicle interior (14.3 PP100 vs. 14.7 PP100) categories. •	Porsche 911 posts best score of any model: The Porsche 911 has the lowest overall problem level (48 PP100) of any model this year. This is also the lowest level recorded in this generation of the study (2013-2018). The U.S. 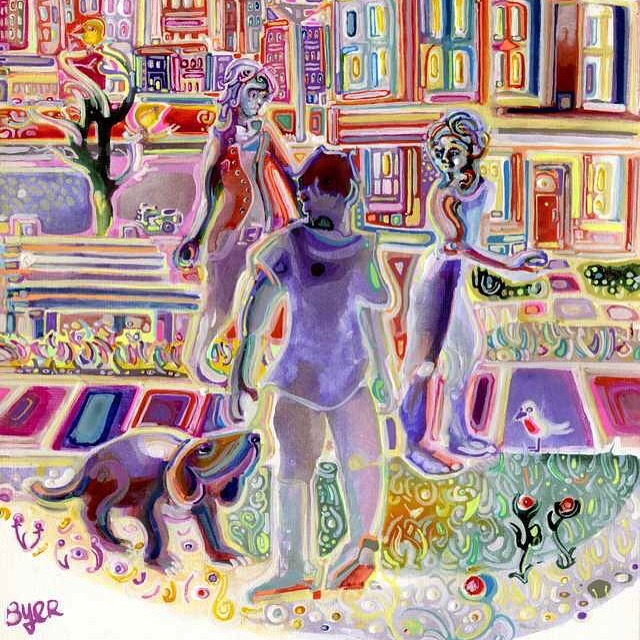 Initial Quality Study, which was first published in 1987, is currently in its fourth generation. •	All domestic corporations improve faster than the industry: Fiat Chrysler Automobiles (7 PP100 improvement), Ford Motor Company (5 PP100 improvement) and General Motors (5 PP100 improvement) all outpace the industry average rate of improvement (4 PP100). •	Infotainment problems are decreasing: Audio/Communication/Entertainment/Navigation (ACEN) remains the most problematic category for new-vehicle owners. However, this area has improved for the third consecutive year, led by fewer problems with built-in voice recognition systems. •	Globalization of auto industry continues: Vehicles in the 2018 study are manufactured in 25 countries, 11 of which weren’t present in the study five years ago. Those 11 countries include Brazil, China, Finland, India, Italy, Netherlands, Poland, Serbia, Spain, Thailand and Turkey. The other 14 countries include Austria, Belgium, Canada, France, Germany, Hungary, Japan, Mexico, Slovakia, South Africa, South Korea, Sweden, United Kingdom and United States. •	Increasing problems with driver assistance systems: As automakers add more advanced driver assistance systems to their vehicles, more consumers are experiencing problems. The level is still low (3.5 PP100 on average) but has been increasing by about 20% a year for the past three years. Genesis ranks highest in overall initial quality with a score of 68 PP100. Kia (72 PP100) ranks second and Hyundai (74 PP100) ranks third. This is the first time that three Korean brands are at the top of the overall ranking, and it is the fourth consecutive year that Kia is the highest-ranking Mass Market brand. Porsche (79 PP100) ranks fourth and Ford (81 PP100) ranks fifth. Mazda is the most-improved brand, with owners reporting 25 PP100 fewer problems than in 2017. 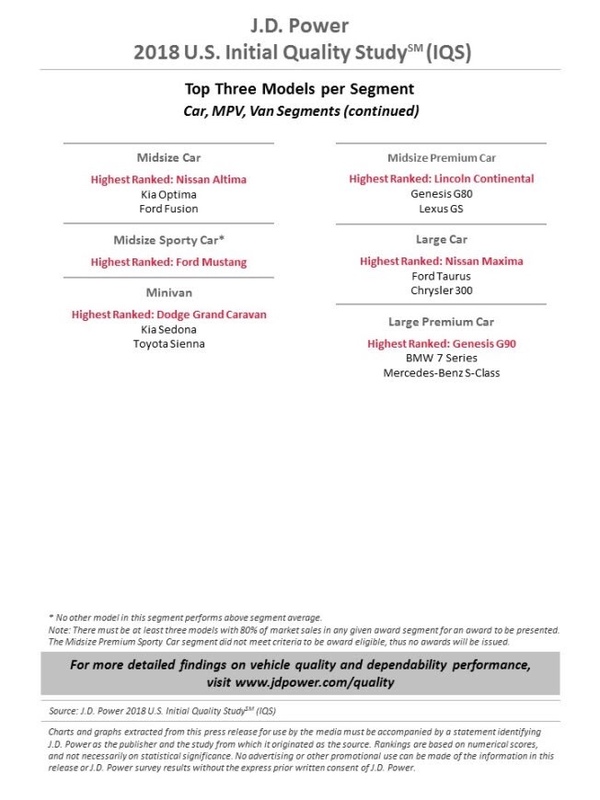 Other brands with strong improvements include Mitsubishi (20 PP100 improvement), Cadillac (15 PP100 improvement), Infiniti (15 PP100 improvement), Hyundai (14 PP100 improvement) and Lexus (14 PP100 improvement). 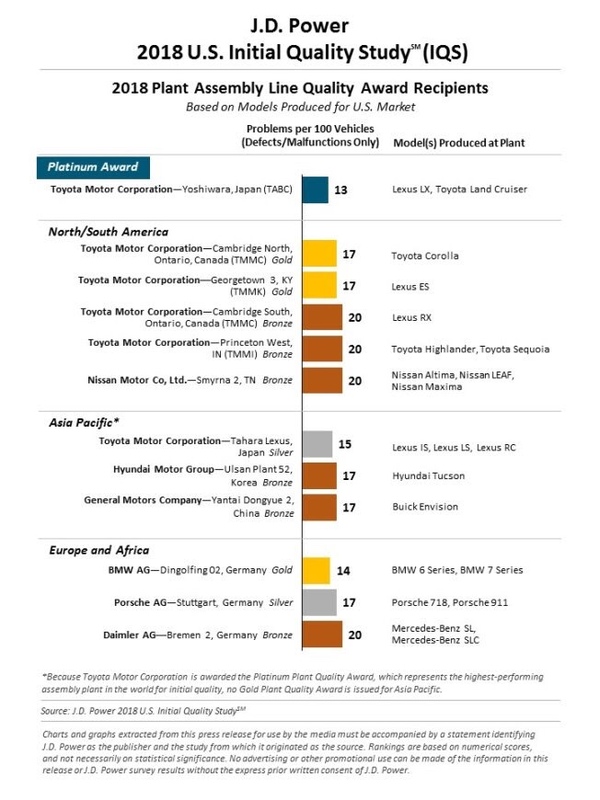 The parent company receiving the most model-level awards for its various brands is Ford Motor Company (five awards), followed by Hyundai Motor Group (four), and BMW, General Motors and Nissan (three each). •	Ford Motor Company models that rank highest in their respective segments are Ford Expedition; Ford Mustang; Ford Super Duty; Lincoln Continental; and Lincoln MKC. •	Hyundai Motor Group models that rank highest in their segments are Genesis G90; Hyundai Tucson; Kia Rio; and Kia Sorento. •	General Motors models that rank highest in their segments are Buick Envision; Chevrolet Silverado; and Chevrolet Silverado HD. 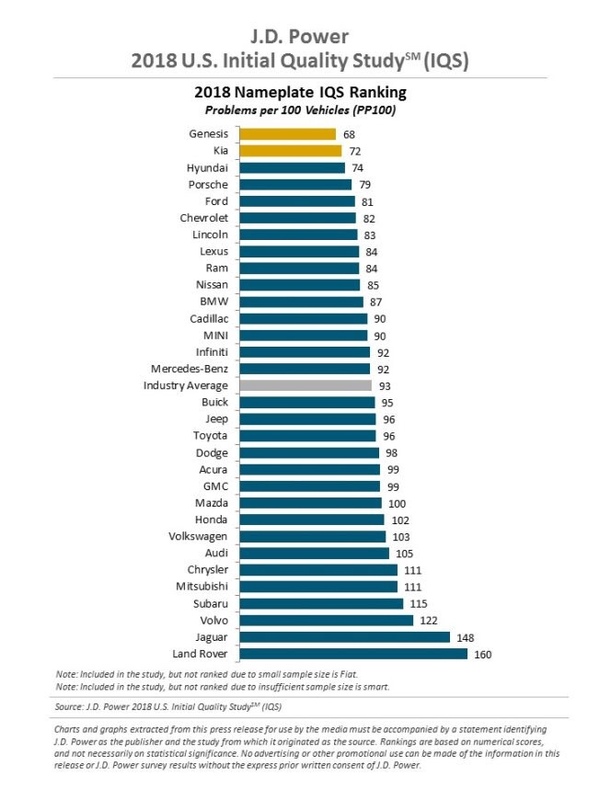 •	BMW models that rank highest in their segments are BMW 4 Series; BMW X1; and BMW X6. •	Nissan models that rank highest in their segments are Nissan Altima; Nissan Frontier; and Nissan Maxima. Other models that rank highest in their respective segments are Acura ILX, Dodge Grand Caravan, Mercedes-Benz GLA and Toyota Corolla. Toyota Motor Corp.’s Yoshiwara plant (Japan), which produces the Lexus LX and Toyota Land Cruiser, receives the Platinum Plant Quality Award for producing models with the fewest defects or malfunctions. Plant quality awards are based solely on defects and malfunctions and exclude design-related problems. Toyota Motor Corp.’s Cambridge North (Canada) plant, which produces the Toyota Corolla, and Georgetown 3 (Ky.) plant, which produces the Lexus ES, each receive the Gold Plant Quality Award in a tie for the Americas region. BMW Group’s Dingolfing 02 (Germany) plant, which produces the BMW 6 Series and BMW 7 Series, receives the Gold Plant Quality Award for the Europe/Africa region. The 2018 U.S. Initial Quality Study is based on responses from 75,712 purchasers and lessees of new 2018 model-year vehicles who were surveyed after 90 days of ownership. The study is based on a 233-question battery organized into eight vehicle categories designed to provide manufacturers with information to facilitate the identification of problems and drive product improvement. The study was fielded from February through May 2018. See the online press release at http://www.jdpower.com/pr-id/2018086. J.D. Power is a global leader in consumer insights, advisory services and data and analytics. These capabilities enable J.D. Power to help its clients drive customer satisfaction, growth and profitability. Established in 1968, J.D. Power is headquartered in Costa Mesa, Calif., and has offices serving North/South America, Asia Pacific and Europe. J.D. Power is a portfolio company of XIO Group, a global alternative investments firm headquartered in London, and is led by its four founders: Athene Li, Joseph Pacini, Murphy Qiao and Carsten Geyer. This entry was posted in Uncategorized and tagged 360 Magazine, 7 series, 911, auto, bmw, cars, Chevy, Chrysler, cla, compact, Diana Macaraeg, family, forte, genesis, grand caravan, Hyundai, is, j.d. power, Kia, lexus, luxury, mercedes benz, Nissan, optima, pick up, Porsche, premium, ranking, small, spectra, sports, suv, Vaughn Lowery, volt on June 25, 2018 by wp360mag. Not many would associate driving with exercise. Whilst staying fit is essential to our wellness, simple daily exercises can also contribute to a more positive and all round safer driving experience. Drivers that exercise have greater ease in turning their heads to see blind spots when changing lanes or to back up. They are also able to rotate their bodies farther to scan the driving environment while making right-hand turns and were able to get into the cars more rapidly, demonstrating an increased overall flexibility. The all-new QX50 is designed to be a soothing sanctuary, with technology and design created around the driver’s needs for a calmer, safer and stress-free life. Its peaceful interior has an Active Noise Cancellation technology, created within a state-of- the-art BOSE 16-speaker sound system, helps make the cabin blissfully free from unwanted sound intrusion. 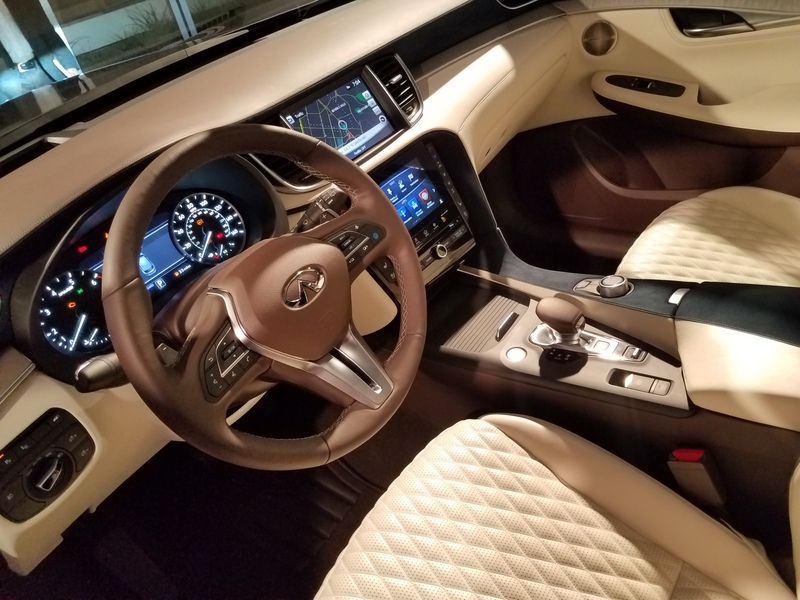 The seats in the 2019 QX50 are designed drawing from NASA zero-gravity research and joint study from Keio University in Tokyo. The ergonomic shape and foam densities emphasize spinal support and minimizes pressure on muscles and helps maintain natural blood flow. Additionally, integrated heat and ventilation features reduce the stress that both cold and uncomfortably hot temperatures bring on. If that’s not enough, INFINITI’s ProPILOT technologies, included in the all-new QX50, is your answer to stressful driving, as it showcases the very beginning of INFINITI’s autonomous drive capabilities. 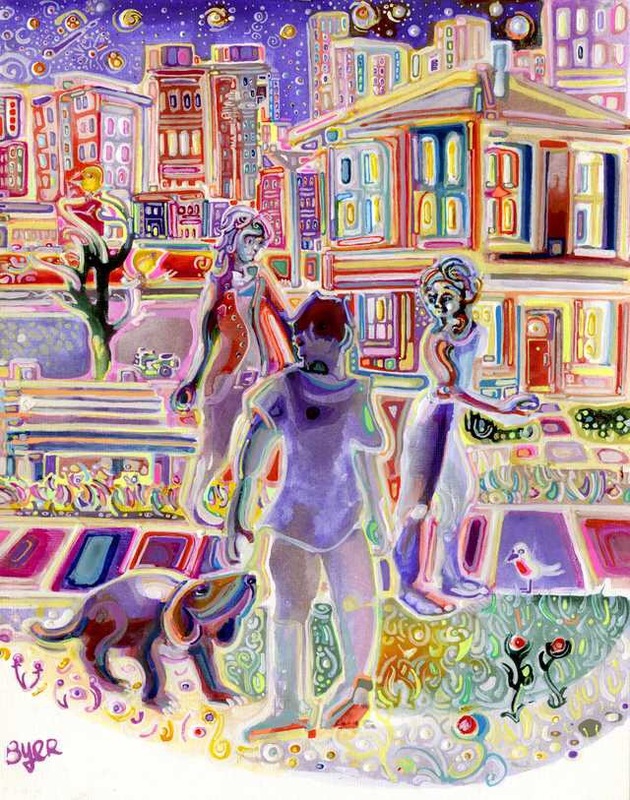 This entry was posted in Auto and tagged 360, 360 Magazine, Ashley Borden, auto, autonomous, blind spots, body, bose, celebrity trainer, Diana Macaraeg, driver, driver awareness, educate, ergonomic, exercise, fitness, infiniti, Keio University, luxury, meditation, mind, nasa, new cars, Nissan, qx50, sassy films, technologies, Tokyo, Vaughn Lowery, wellness, yoga on February 22, 2018 by Pitch360. 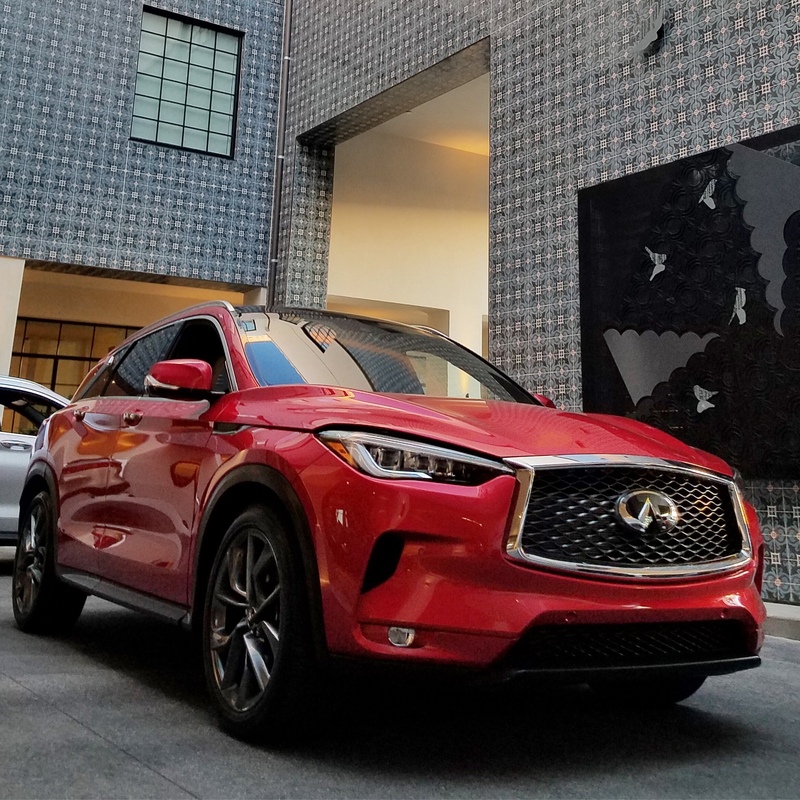 As of late, we had the opportunity to test drive a pre-production QX50 during a three-day press launch at West Hollywood’s newest boutique property, La Peer Hotel. The days are slowly fading, at least in the automotive industry, where bigger isn’t always better. The biggest engines, the most valves and absurd fuel consumption aren’t necessarily needed to create fast responsive engines. For Earth’s sake, this is a very economical and environmentally friendly path to take. Less fuel consumption while improving power output is the wave of the future and Infiniti is one of many leading the way. 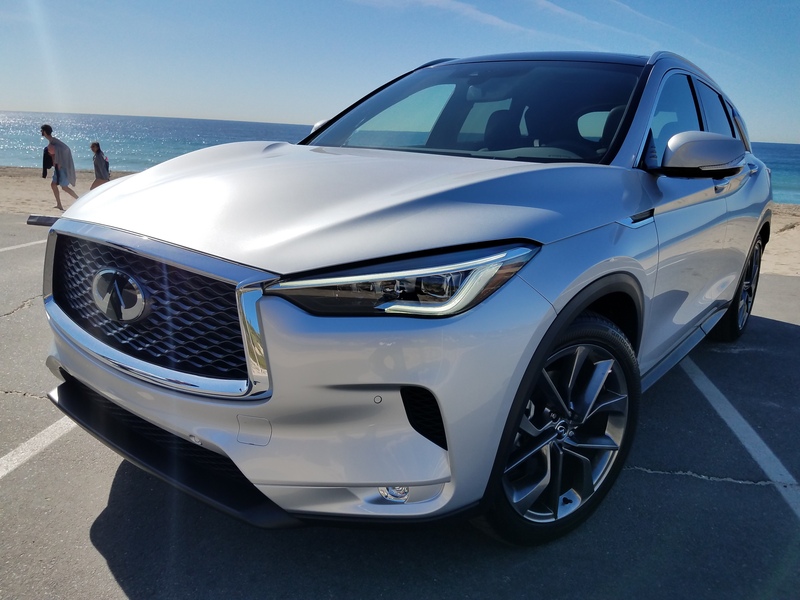 The newly redesigned 2019 Infiniti QX50 stocks a VC-Turbo Engine with all-new DriverAssist technology and lightweight skeleton. Let’s start with the heart of the vehicle -the engine. What’s important to note is how much more economical the VC-Turbo Engine is in comparison to the 2017 QX50 and its stiffest competitor, the Lexus RX. 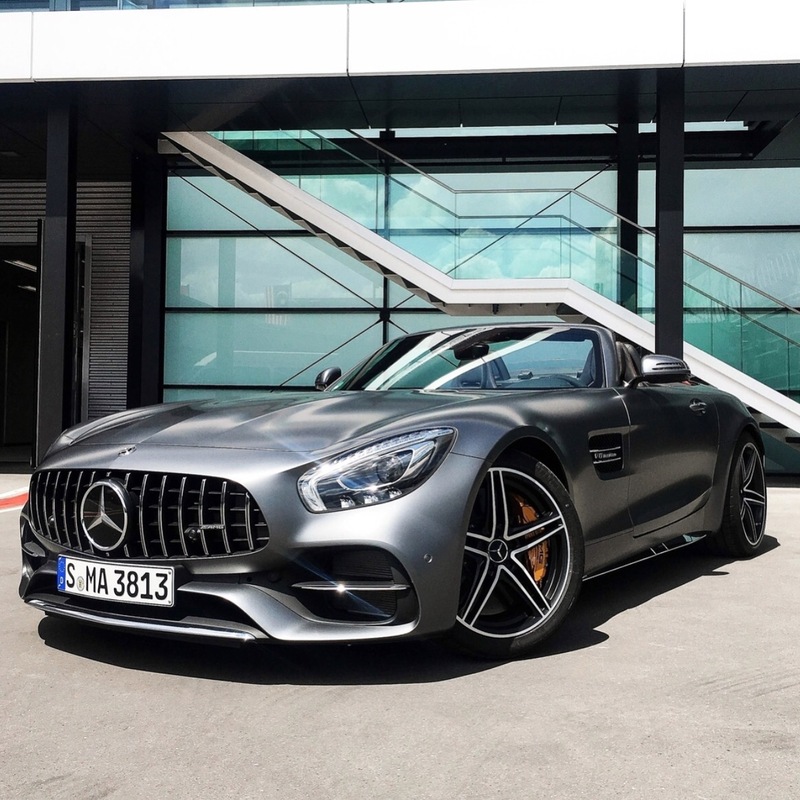 The newly designed engine is a 2.0 liter turbocharged 4-cylinder which produces an impressive 268 horsepower @ 5,600 rpm while creating an astonishing 280 lb-ft of torque @ 1,600 rpm. This means quicker acceleration and consistent pull through the entire power band. 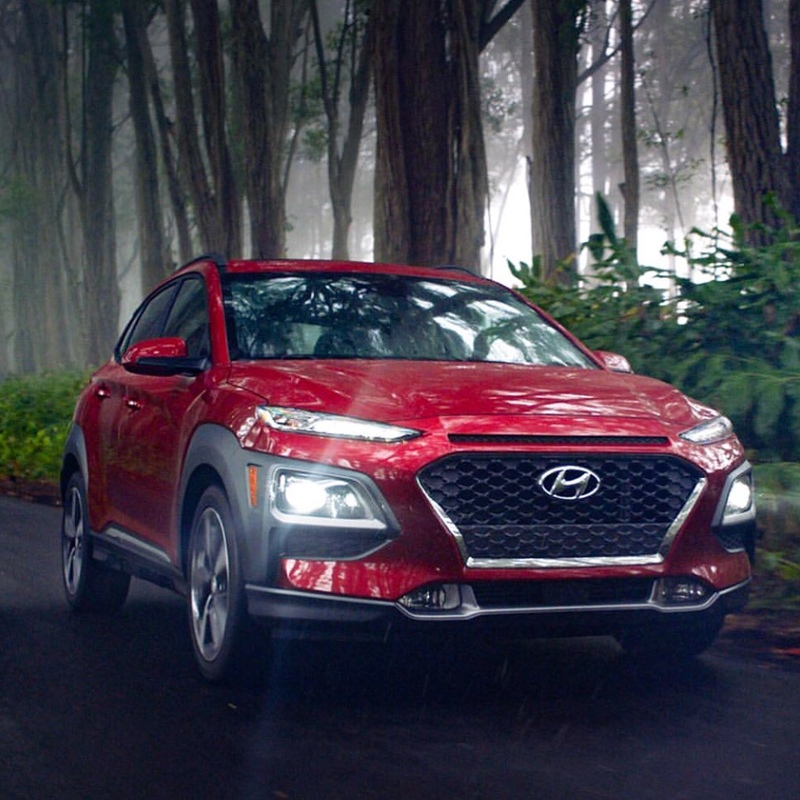 The QX50 is able to stretch a gallon of fuel up to 27 mpg city/hwy which is a 35% increase in fuel economy from the previous model, making it the most economical vehicle in its class. The Lexus RX comes in 4 mpg less while also lacking in the torque department. Infiniti for the win! Complementing fuel efficiency is its all-new lightweight platform. The frame only weighs 923.7lbs and the weight-to-size ratio is the best in class. Designed from high tensile material it enables the car to resist flex, vibration and reduces noise pollution inside the cabin for a more luxurious ride. Now fitted with McPherson suspension, commonly used on BMW, the QX50 is ready for spirited driving. Furthermore with the increased structural integrity, the suspension appears to be more responsive, providing the driver with greater control and cornering. When it comes to safety, there’s one thing which comes in mind – how well does it stop? 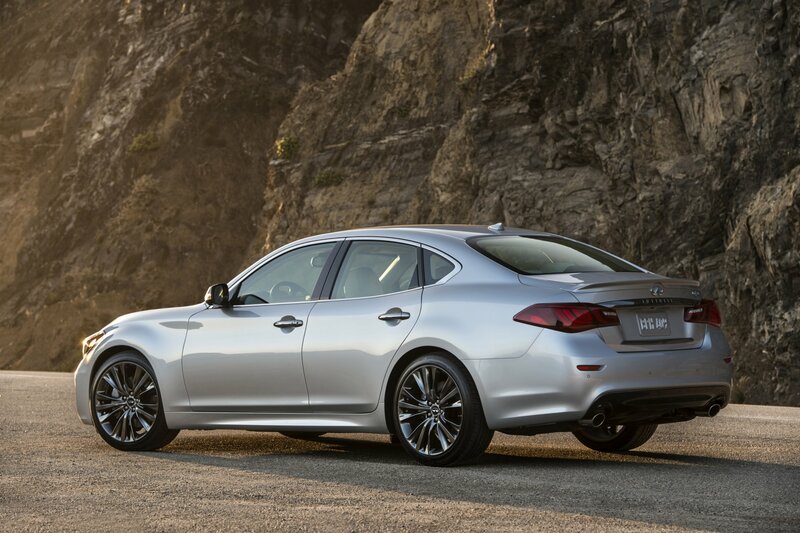 Infiniti added a new braking system designed for control under most conditions. The vehicle is fitted with ventilated front brakes which are larger than the previous model, measuring in at 13 inch in diameter. Moreover, a new brake booster and tie rod system has been added to reduce the need for higher brake pedal pressure. Depending on customer preference, there are two wheel/tire and two drivetrain options available. The tires come in 19 inch wheels with 235/55R19 tires or 20 inch wheels with 255/45R20 tires – both available in run flats and reinforced rubber sidewalls to allow up to 93 miles with reduced air pressure. For the drivetrain, one can choose between the intelligent AWD or the standard FWD. Better grip, braking and handling attributes can be expected with the AWD upgrade. Ergonomics are apparent inside the cabin. Upfront are two zero-gravity NASA seats alongside of a passenger-minded asymmetrical architecture, allowing both driver and passenger to feel connected and co-operative. On the dash board sits the InTouch infotainment center featured on dual screens for ease and convenience. It allows passengers to stream media from handheld devices via Bluetooth – including music ,texts and photos (Apple CarPlay and Android Auto are not yet available). The Bose Performance Series audio system is designed specifically for the QX50’s underpinnings to produce optimal sound quality. It’s loaded with 17-speakers and delivers an unmatched audible experience. Above head is panoramic moon/sunroof which stretches from the front to back seats complete with a motorized blackout curtain. It enhances the roominess, especially for backseat passengers who wish to stargaze. Also in the rear is a sliding rear bench which alters both legroom and cargo room for whichever is needed most. The quilted seat packages offer a bespoke feel coupled with ultra suede middle console, pillars and headliner. Moreover, manually retractable rear window nets offer additional privacy as well as sun protection when paired with factory tint. Driver connectivity is further enhanced with ProPilot – a feature which allows single lane driving assistance. This helps with driver fatique during bumper-to-bumper traffic and long drives. As the name implies, this patented technology assists the driver in identifying road hazards as well as other drivers which could potentially cause accidents. Moreover, ProPILOT also helps manage acceleration, braking and steering in single lane travel. For whatever reason, when activated it makes both the steering and brakes feel firm and tenacious. We tested it on the whiny roads of Muholland Drive; and it practically drove itself even while descending (activation normally lasts upto 20 secs or until it falls back in between the 2 lines). In addition, the newly introduced heads-up display in lower windshield allows the driver to fixate more on the road and less on the navigation. Also works well with polarized eyewear and shades. 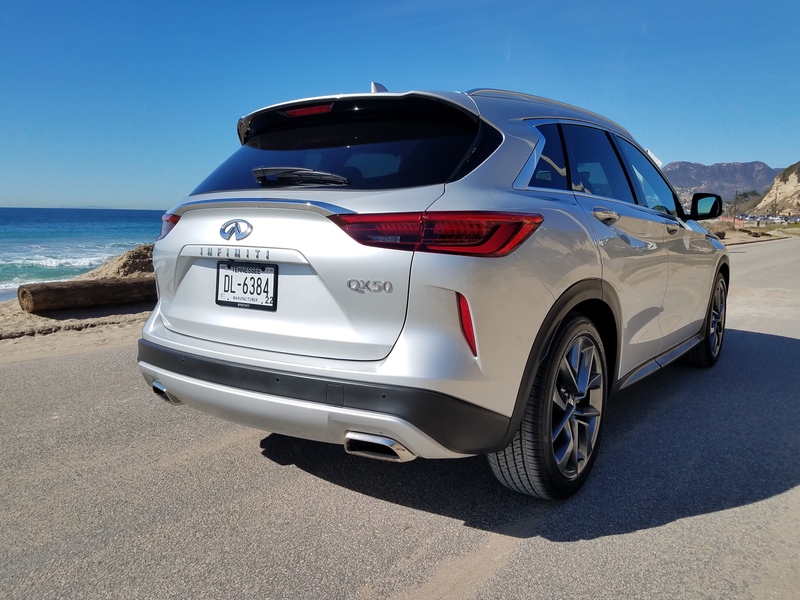 In short, the 2019 Infiniti QX50 AWD fully loaded model prices just under $60,000 which isn’t quite so bad considering the brains of this bodacious beauty. Not to mention, the overall performance is extremely desirable and nimble at times. This is an amazing buy for a millennial executive with room for a modern family or empty nesters with a few adult children in tow. 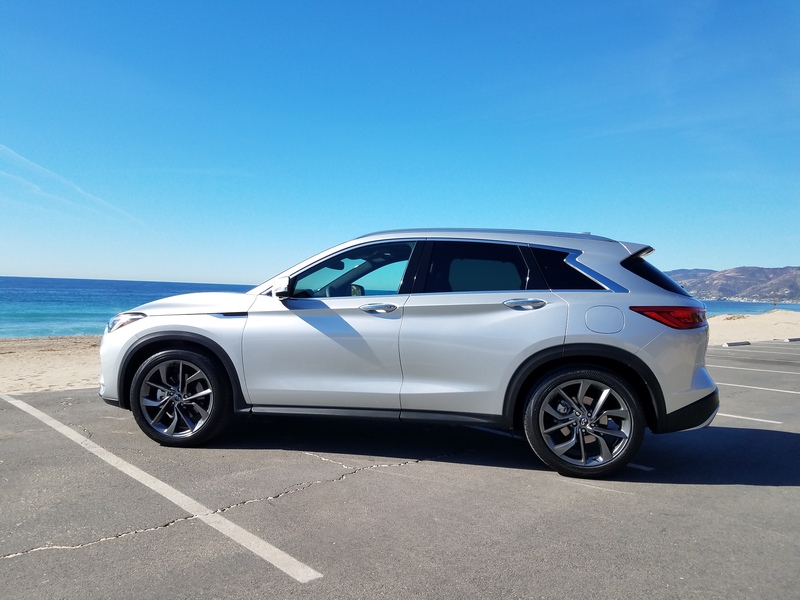 This entry was posted in Auto and tagged 360 Magazine, 360recommended, Anthony Sovinsky, auto, automobile magazine, awd, bang for your buck, bespoke, bmw, car, car and driver, crossover, Diana Macaraeg, driver assist, economical, fuel friendly, fwd, hollywood, infiniti, Infiniti QX50, la peer hotel, Lexus RX, luxury, motortrend, nasa seats, New car, Nissan, pop culture, powerful elegance, propilot, suspension, suv, tailored, technology, torque, truck, Vaughn Lowery, vehicle on February 1, 2018 by Pitch360. 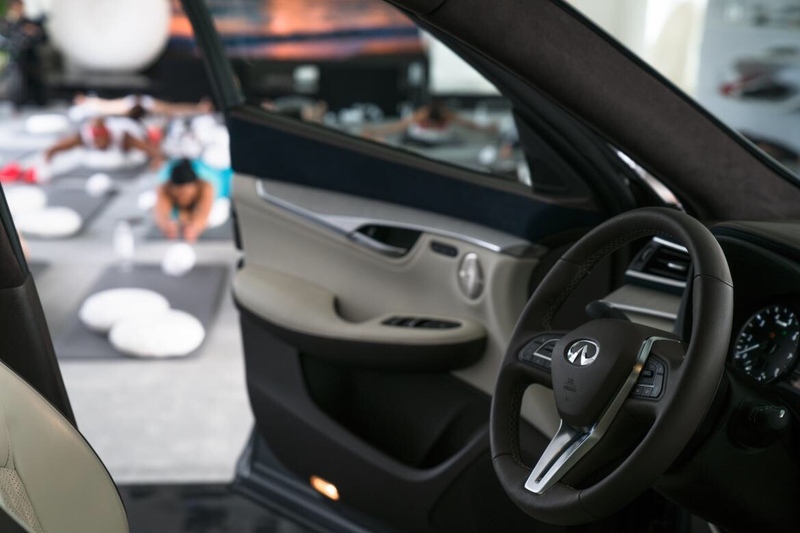 Infiniti has an unwavering dedication to the highest levels of performance and luxury. This is noticeably true for their flagship sedan – the Q70. The Q70 is available in the following options: a standard-wheel-base-only hybrid, two engine options (3.7L V6 and 5.6L V8) and your choice of all-wheel or rear-wheel drive. We tested the Premium Select Edition (approximately $71,000). It’s Infinti’s long wheel base version aka Q70L with rear wheel drive. The aggressive hood and grille may hint that there is an overqualified power plant to catapult the extended sedan. 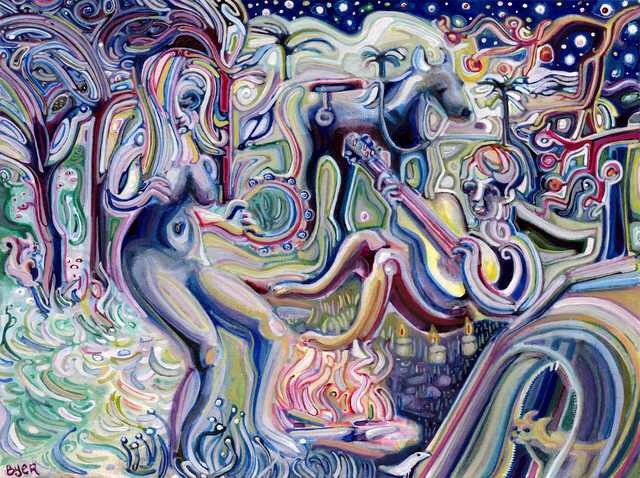 Swift contours of the body look as if it’s built to burn through the atmosphere with little effort. An exemplary feature that really sets this particular model apart is its length, measuring 202 inches. The designers added 6 inches to the rear door while only adding about 100lbs to the curb weight. The additional room intensifies a more ergonomic back seat passenger experience without causing an adverse effect on the other elements. Moreover, the vehicle profile is much more attractive because the front and rear windows appear to be identical in size. 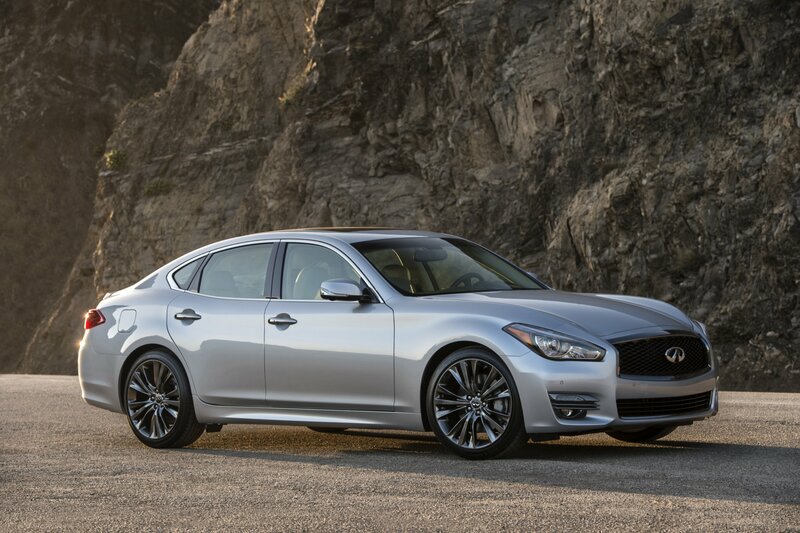 Infiniti’s Q70L can carry its weight (4174lbs) quite comfortably. Powered by a hefty 5.6L 32-valve V8 cranking out 420hp with 417 pound-ft of torque (0 to 60 mph in 5.5 Sec). The robust engine is a silky smooth 7-speed automatic adaptive shift controlled (ASC) transmission. The driver adaptive learning algorithm senses driving style and adapts accordingly. Or if you care to fiddle with its performance, select manual shift mode with gearshifts and downshift rev matching. Elegant fenders enunciate 20 inch aluminum alloy wheels with all season tires. They’re bonded to an independent front and rear suspension as well as front and rear stabilizer bars for a flawless ride. High performance sport brakes with 4 piston front and 2 piston rear calipers brings the vehicle to a prompt halt. 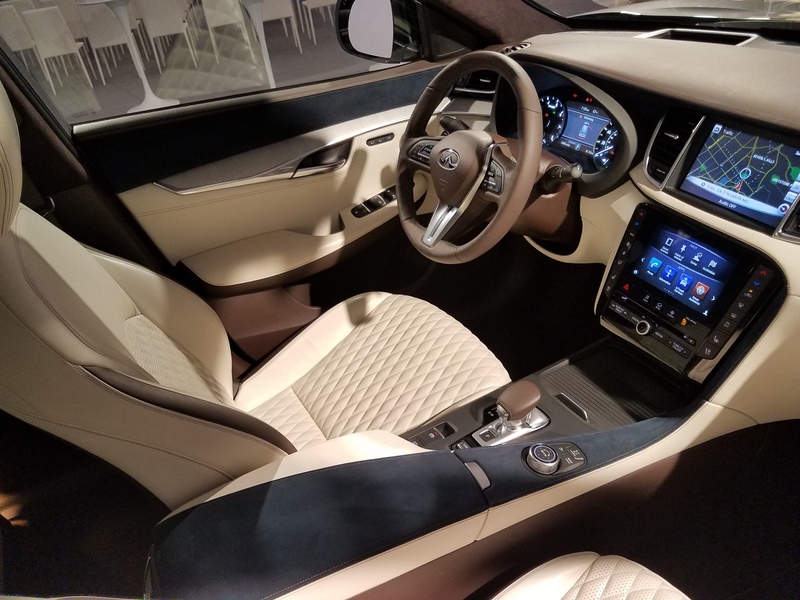 Upon going into the cabin, you are welcomed by graphite semi-aniline leather seating with contrast seat piping, aluminum interior trim, Japanese ash wood accents, suede-like headliner and illuminated kick plates. Up-front are 10-way power and climate controlled seats with lumbar support. The steering wheel is fully adjustable with power tilt and a telescopic steering column for a tailored driving experience. 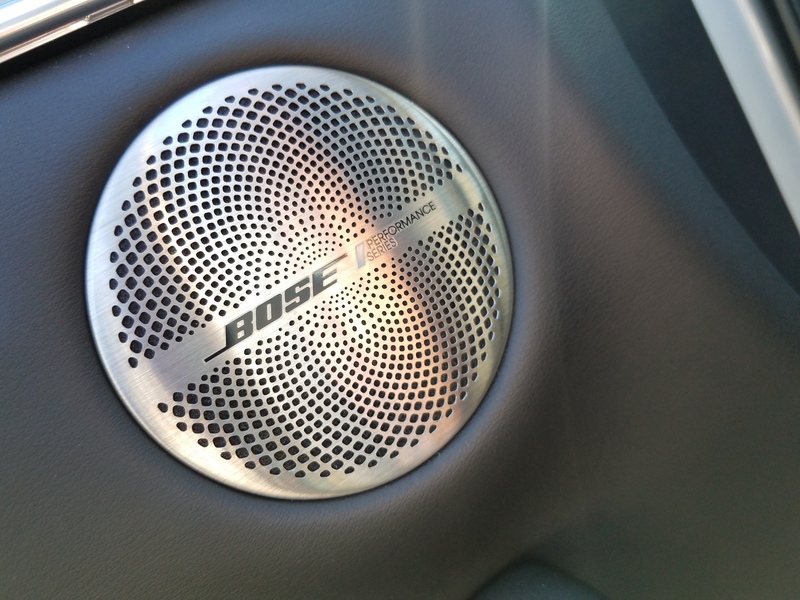 Moreover, 16-speaker Bose Studio Surround sound system adds up with integrated headrest speakers on front seats. 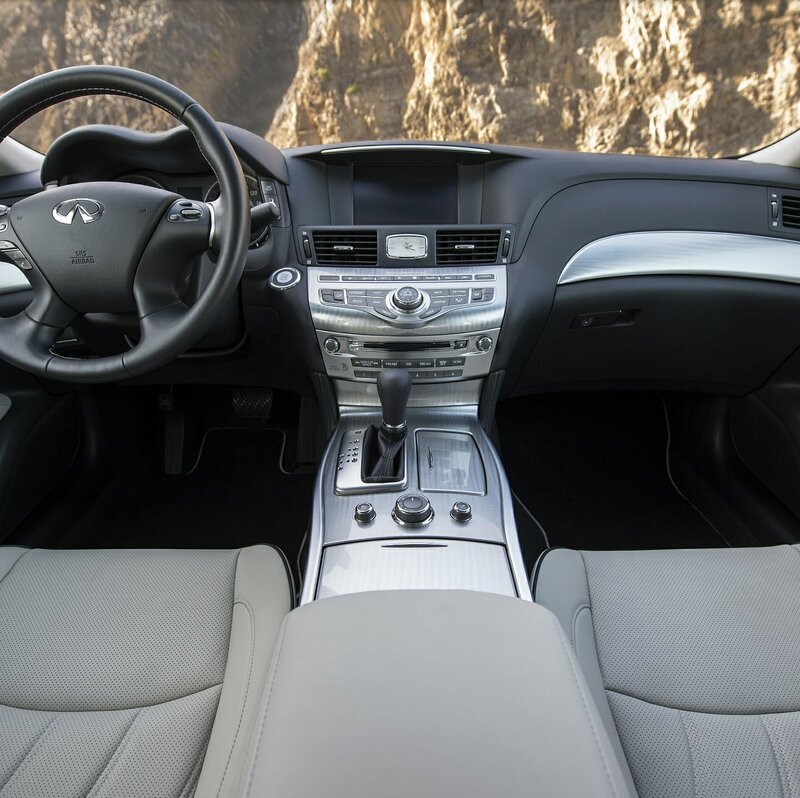 The “L” in Q70L could take on many different meanings: large, luxurious or legroom. The extra 6 inches in rear cabin make you feel like you are on a first-class overseas flight with the ability to stretch. Even with the front seat fully reclined, there’s still considerable legroom for an average sized adult. Furthermore, the center armrest folds down, housing two cup holders and controls for the heated back seats. Lastly, what is luxury without technology?Infiniti Connection is an arrangement of digital applications and remote services which gives you a direct access to the world around you. NavTraffic and NavWeather provide detailed traffic data as well as sporadic weather updates. The Around View monitor projects through the 8-inch infotainment display. This advanced technology makes parking easier. Four cameras are stationed on all sides to create a 360-degree birds-eye view. For just over $70,000 you will be in both the lap of luxury and performance. As one of the most prolific Japanese cars, it’s perfect for a sophisticated family or an upper level executive who likes to be driven round. This entry was posted in Auto and tagged 360 Magazine, Anthony Sovinsky, art, auto, beautiful, car, design, gorgeous, infiniti, Japan, luxury, Nissan, pop culture, q70, q70l, sedan, skyline, sports, style, Vaughn Lowery, vehicle on September 27, 2017 by wp360mag. Awards competition programs are serious business in the auto industry and the AVA has developed a program that both tests out the cars capabilities, but also sets a tone of having fun while doing it. Consumers in the market place do care about horsepower numbers, but they also car about how a car will function as a daily driver. They care about how the Bluetooth works and whether the adaptive cruise control and lane departure warning actually help the driver operate the vehicle. The AVA Award program sets out to showcase all that is great about these top finalist vehicles, but also where they may be lacking in some areas. One vehicle will be crowned in each category, but the scores will be public knowledge on all vehicles. The AVA was formed by video media outlets that span the country and this group represents the auto industry’s first-ever national media organization that focuses on video exclusively. The AVA was established to provide media outlets that specialize in video content the ability to promote their industry, which is the fastest growing segment within the spectrum of automotive media. The organization is made up of some of the most prominent and most followed automotive outlets in the country. Over the past month, the AVA has been solicited by a handful of video media outlets to join this organization. The AVA looks forward to having more members join and to do this in a way that benefits all parties involved, the AVA is developing a solid foundation in 2017 and 2018 with its founding members. Once this association has been fully developed and two AVA Awards events have taken place, the group will gladly open its doors to new members. The AVA has no boundaries and its content spans the globe. The new coalition helps promote the video aspect of covering the greater auto industry. The organization also isn’t limited to just card carrying journalists. 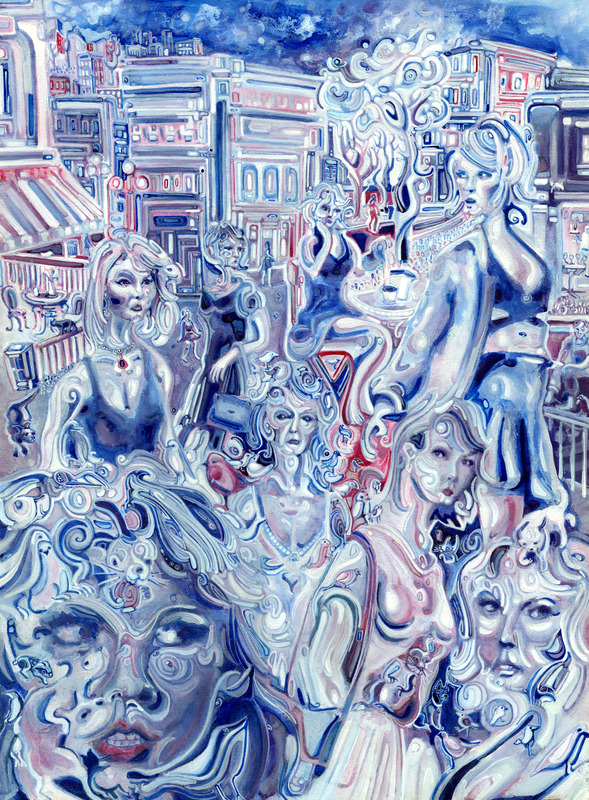 The AVA has members that have a variety of backgrounds. The unifying nature is video and all video content is owned by its members. 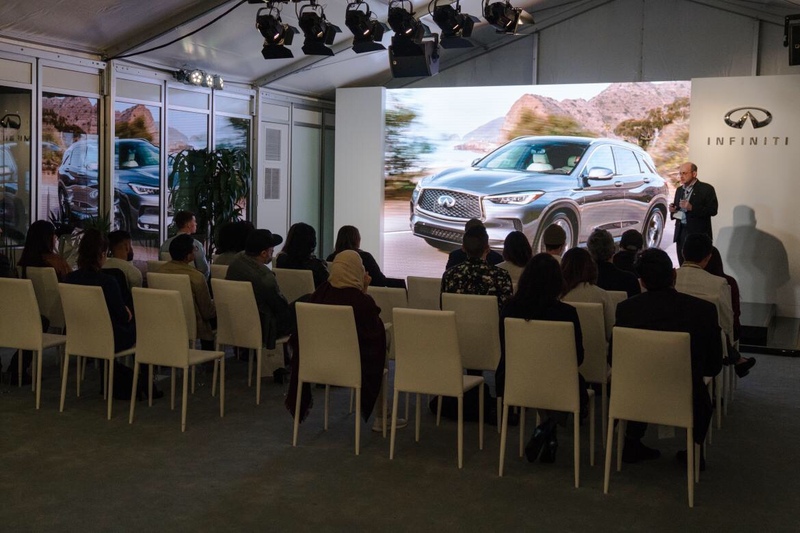 The overarching goal of the AVA is to promote video as the primary outlet for content, but is also aimed at auto makers as well to showcase the power of video. Consumers today, look to video for their news. The combined bandwidth of the AVA is in the millions for monthly unique views. This is something no traditional media outlet can do. For more details and information on the Automotive Video Association, please contact DRIVEN360 at 310-374-6177 or officeadmin@godriven360.com. This entry was posted in Uncategorized and tagged 360 Magazine, 570s spider, a4, Acura, alex dykes, alexonautos, American, amg, Audi sq5, auto industry, autobahn, Automotive video association, Ava awards, black badge ghost, bmw m550i, Celebrities, daily driver, Diana Macaraeg, Dodge Challenger art hellcat widebody, driven360, engineering explained, expensive, fairlady, four rings, g500, g55, g63, German, glc 43 coupe, gle, glk, glk350, Godzilla, grand Cherokee trackhawk, gt c roadster, gt-r, gwagon, high performance, Honda Civic type r, integra, is350, isf, ITR, Japanese, Jason fenske, jeep, Kyle Lindsey, lc500, lexus, luxury, m badge, m3, m6, matt Maran motoring, matt maranowski, MBUSA, McLaren, mechanic, Mercedes amg, mercedes benz, motor, nik Miles, Nismo, Nissan, Oregon, performance, performance car, performance SUV, r-35, r8, ram, rcf, redline reviews, resort of the mountain, rolls royce, Ronan mica, rs5, s-type, saabkyle04, safety, scatpack, sofyan bey, Sweden, Swiss, the fastlane car, the mountain run, top finalist, turbo, v10, v6, v8, Vaughn Lowery, Volvo, welches, wrangler, xc60 t8, xdrive on September 21, 2017 by Pitch360. Josh Byer is an artist residing in Vancouver, Canada. 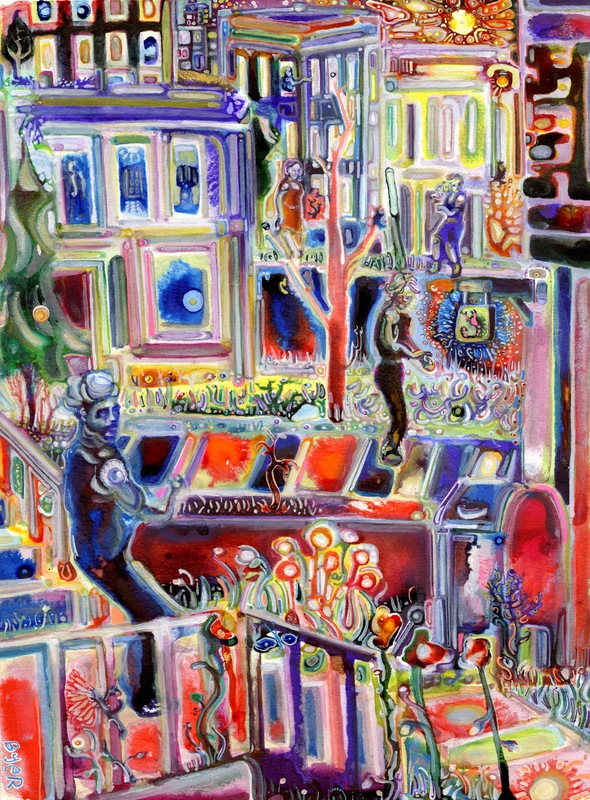 Josh has invented a painting technique called Faux Fauvism. 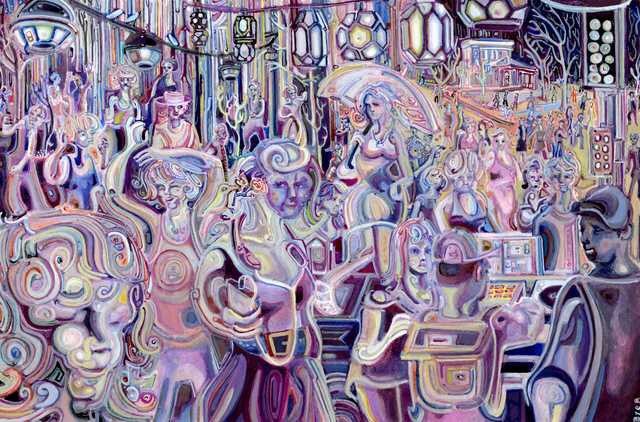 The goal of Faux Fauvism is to pinpoint the moment in cognition when pattern recognition occurs. Featured five times on the front page of Reddit, his online galleries have received 12 million views since 2015. 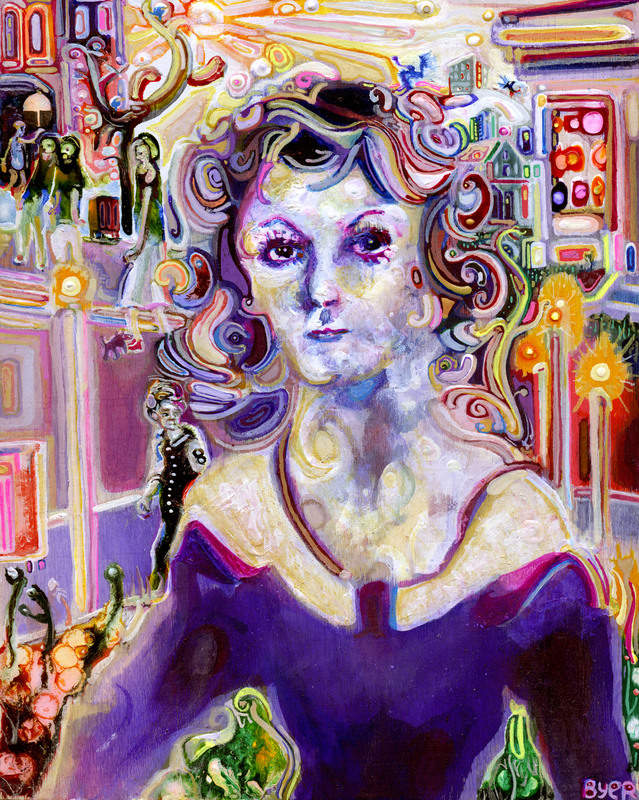 Paintings appear in recent features from Style.ca, VICE, OPALUS Magazine, The ARTBO, Creative Boom, and 1968 Magazine. 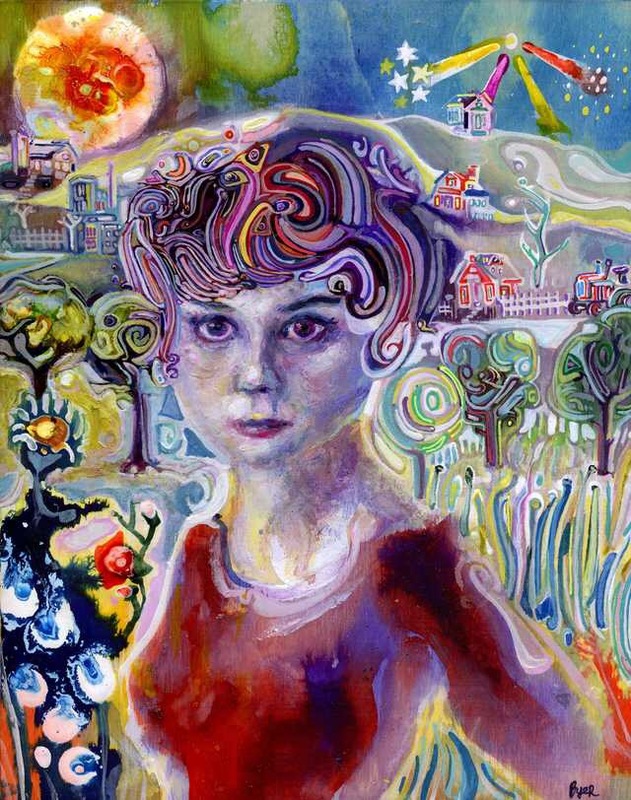 Licensed artwork can be found on products available from Posterlounge, Walmart, Overstock.com, Wayfair, Art.com, Amazon, AllPosters, and Great Big Canvas. This entry was posted in Design and tagged 1968 Magazine, 20th Century Fox, 360 Magazine, Actor, AllPosters, Amazon, Armada Records, Armin van Buuren, Art.com, artist, artist submission, Best Buy, Brightlight Pictures, CBC, classes, Creative Boom, cultural institutions, Dali, Diana Macaraeg, educational, Faux Fauvism, Great Big Canvas, Gutter, ill.Gates, interscope, Josh Byer, Keystone Entertainment, Laidback Luke, Matisse, McClelland & Stewart, mtv, nbc, New Line Cinema, Nissan, OPALUS Magazine, Overstock.com, Picasso, Posterlounge, public, R3HAB, seminars, Simon Fraser University, Sony Entertainment, Southam News, speaker, Spinnin' Records, Staples, Style.ca, SyFy, The ARTBO, The Canadian University Press, The Ottawa Citizen, the Pacific Cinémathèque, the Praxis Centre for Screenwriters, The Purple Thistle Centre, the Vancouver Art Gallery, The Yale Record, Trevor Guthrie, USC, Vancouver School Board, Vaughn Lowery, Vice, Victory Square Publications, Walmart, Wayfair, Workshops on September 6, 2017 by Pitch360.